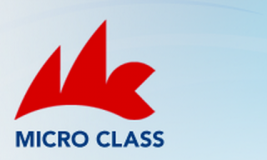 2015 Euro Micro Calendar is Here! Start preparing for the next season by planning your Euro Micro appearances. 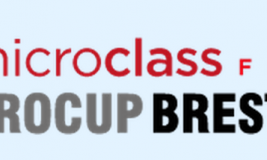 The 2015 Euro Micro Calendar is here. 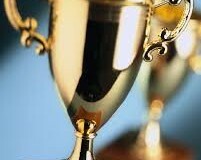 Finaly we have the results of this years Euro Micro Championship. 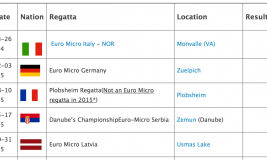 After 7 regattas, including the World Championship in Berlin, the ranking in all 3 divisions is here. This year we had 51 boats in the ranking from 11 nations. 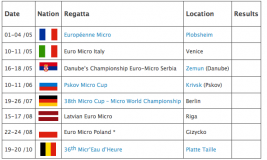 Here you can find the results of the Polish Euro Micro regatta. IMCCA Executive Committee announces that next General Assembly of the IMCCA will be held in Brest in 2015, during the World Championships. The exact date will be announced shortly.